At Honda Aircraft Company, there’s an unrelenting focus on performance. The constant striving to uncover advancements in performance through design, engineering and technology. The latest result of this pursuit: the HondaJet APMG performance package. Now available for the HondaJet HA-420 model, the Advanced Performance Modification Group package incorporates a number of upgrades to enhance pilot and passenger experience. The APMG package increases the HondaJet’s maximum takeoff weight, allowing for more flexibility for passenger and baggage loading. With a reduced takeoff field length, the APMG package gives fliers greater access to airport locations. 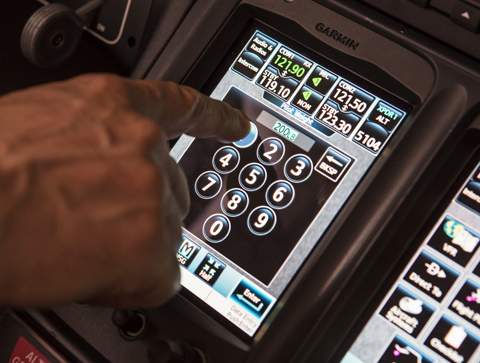 Upgrades to the HondaJet’s Garmin G3000 avionics suite gives pilots an enhanced experience with more situational awareness and increased safety. Design refinements to the aircraft create better fuel efficiency. Please fill out the form below, and a representative will be in touch with you shortly. Thank you! A Honda Aircraft representative will be in touch with you soon.